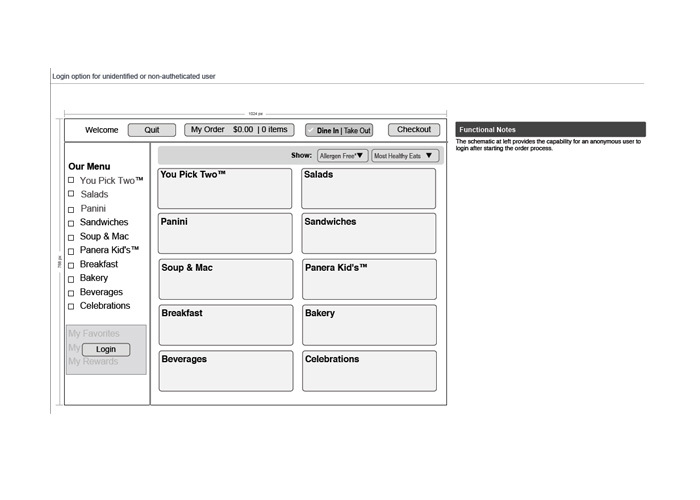 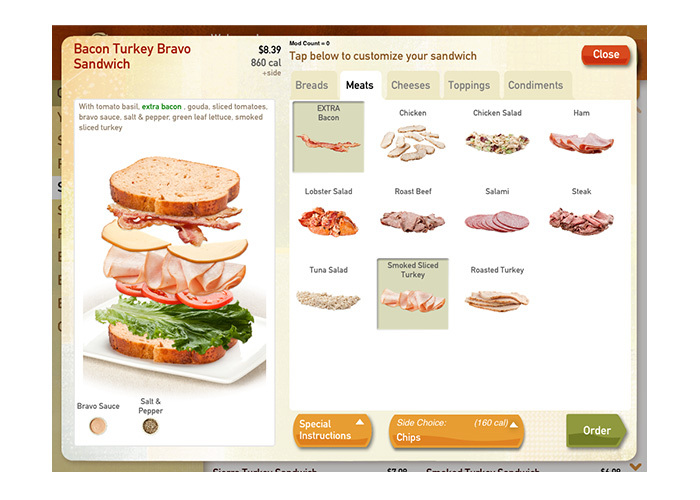 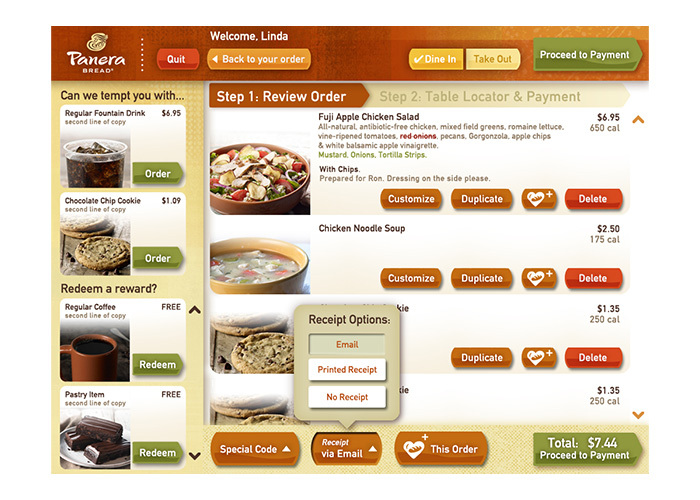 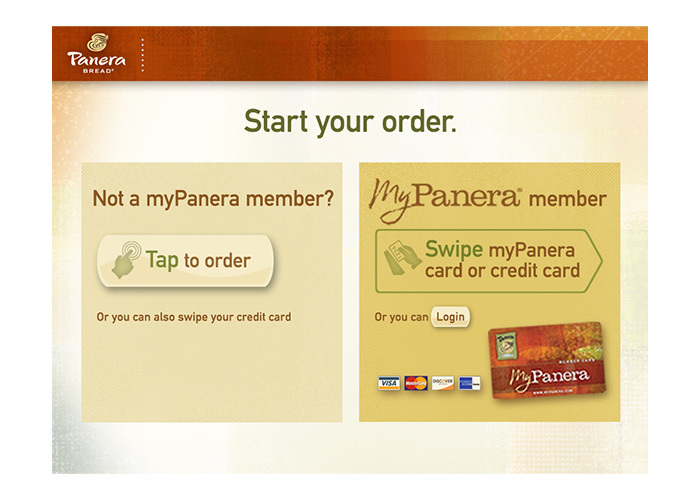 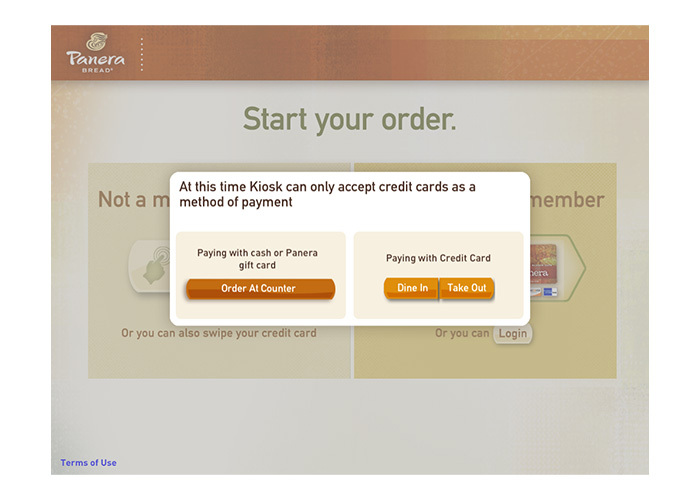 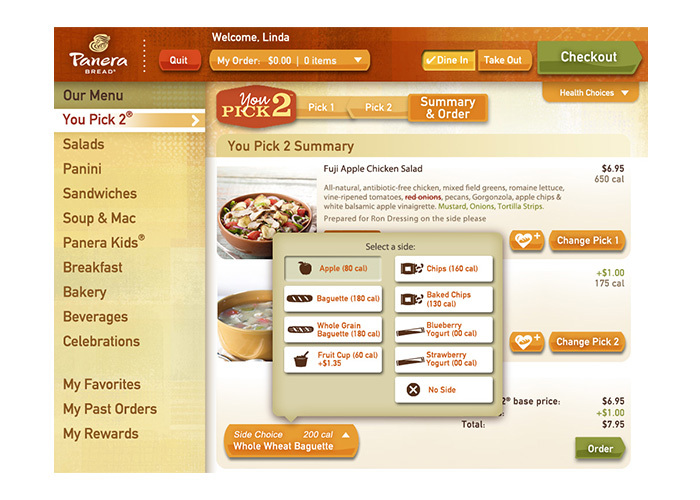 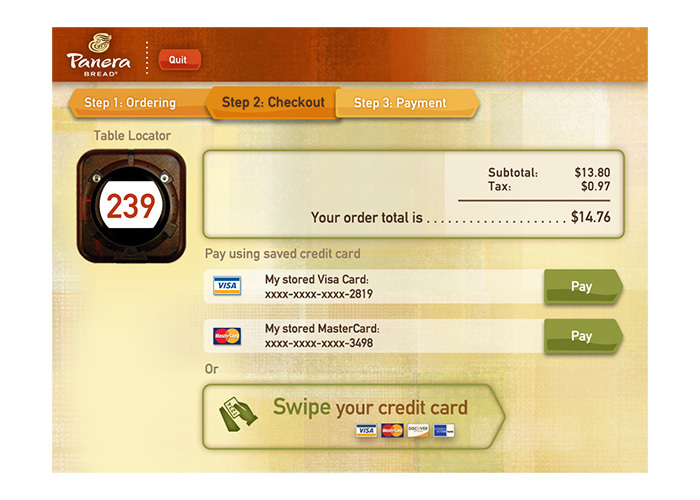 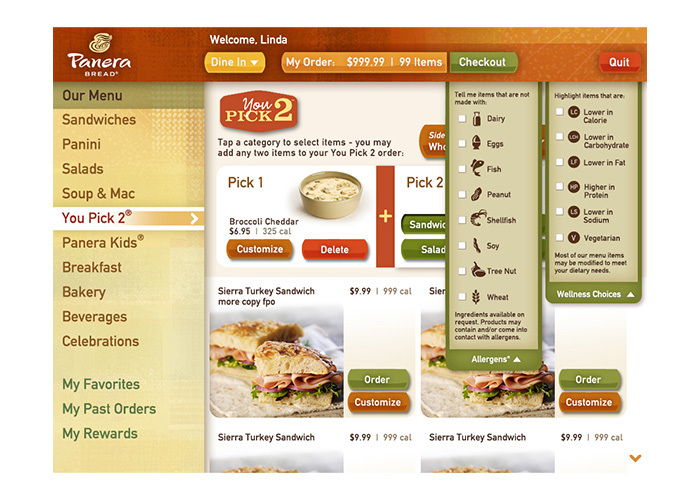 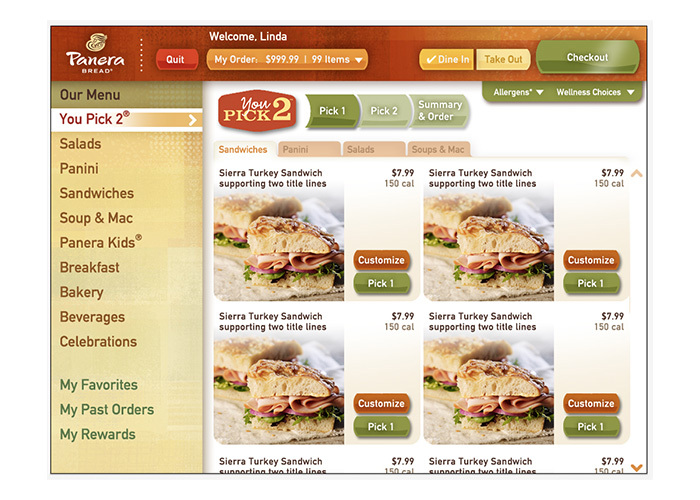 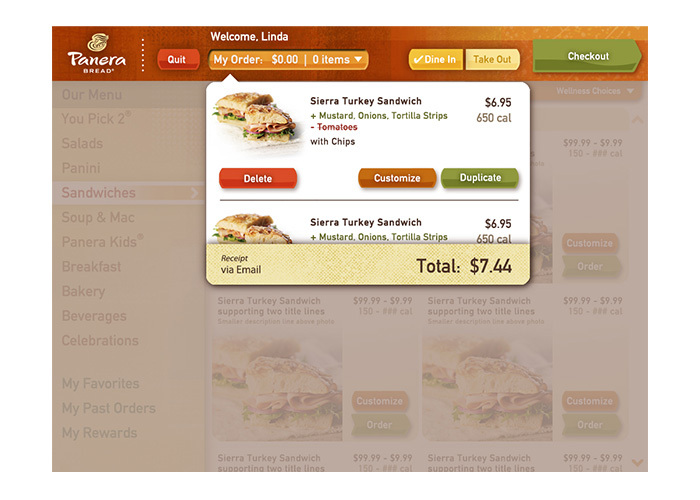 Panera Bread wanted to move into the technical age and be ahead of their customers by providing a kiosk that would alleviate line congestion within their stores. 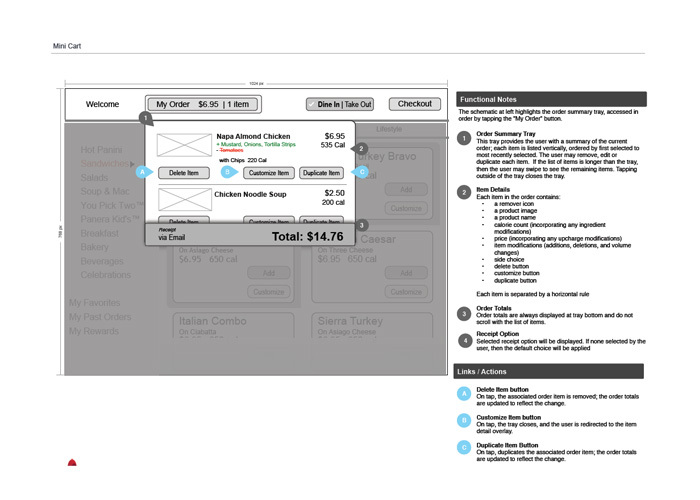 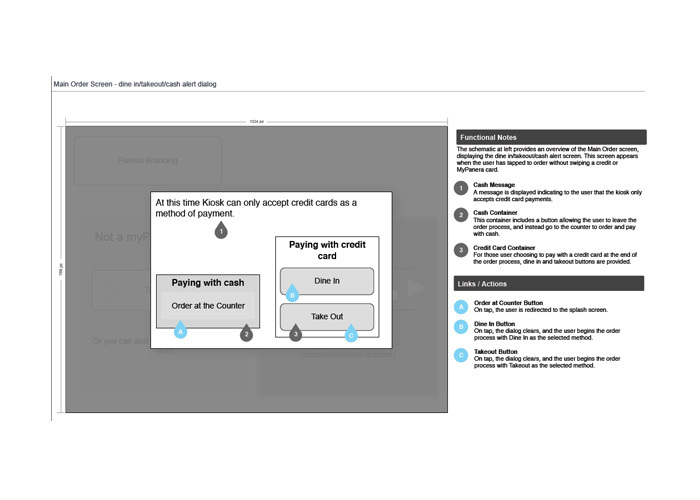 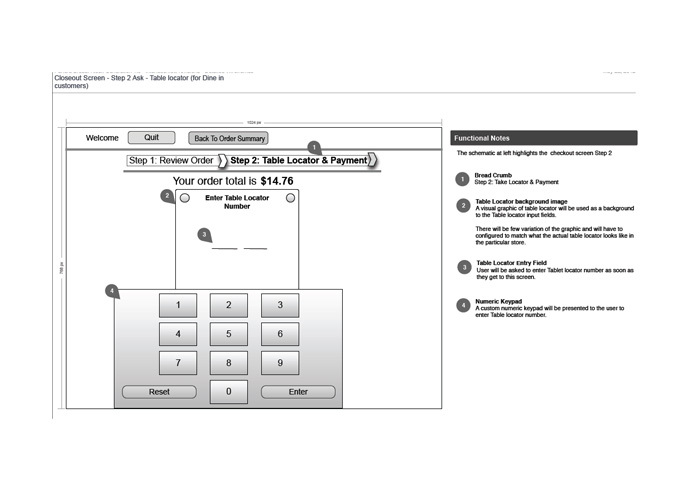 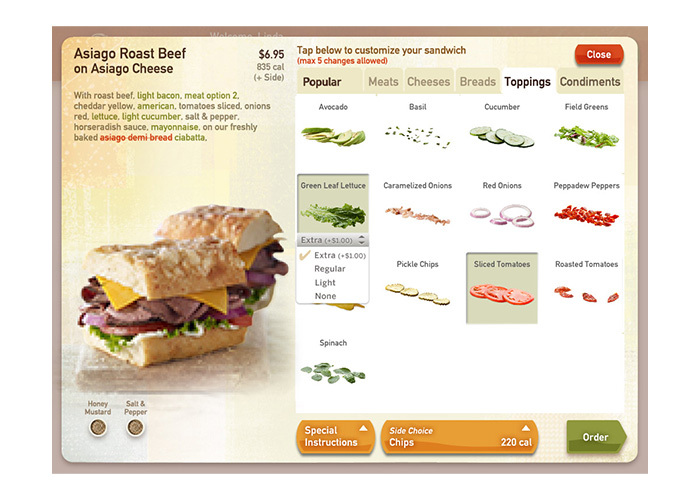 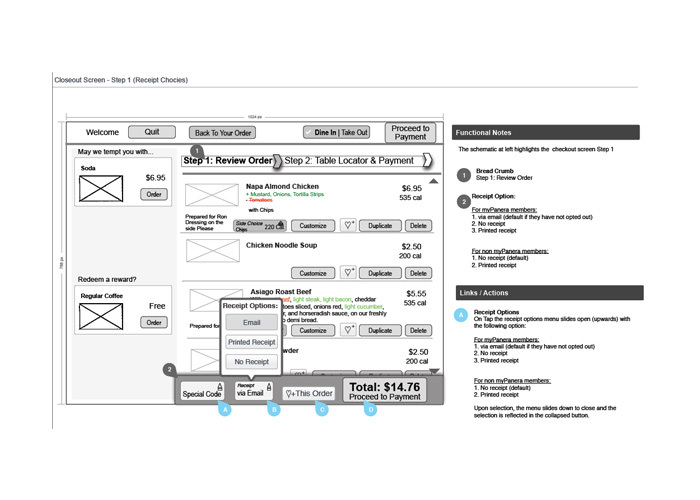 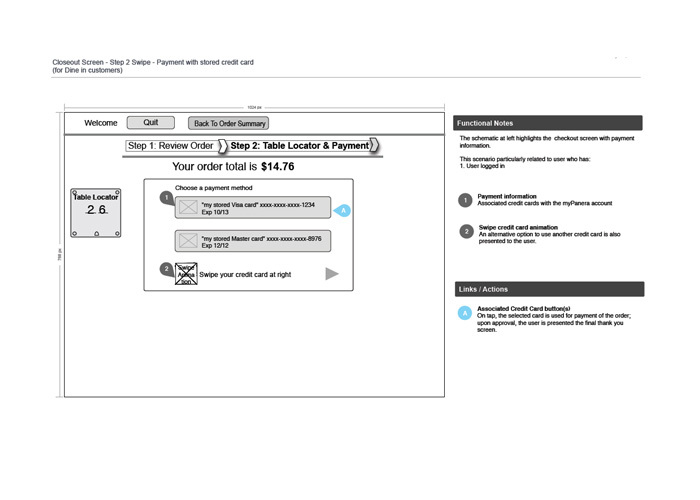 The kiosk main goal was to give users the same experience as ordering with a direct worker at the register. 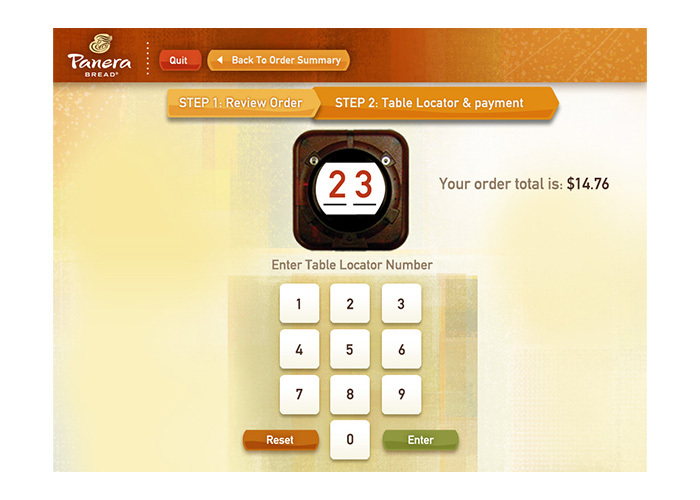 While working for a mobile agency I was the UI designer for this project. 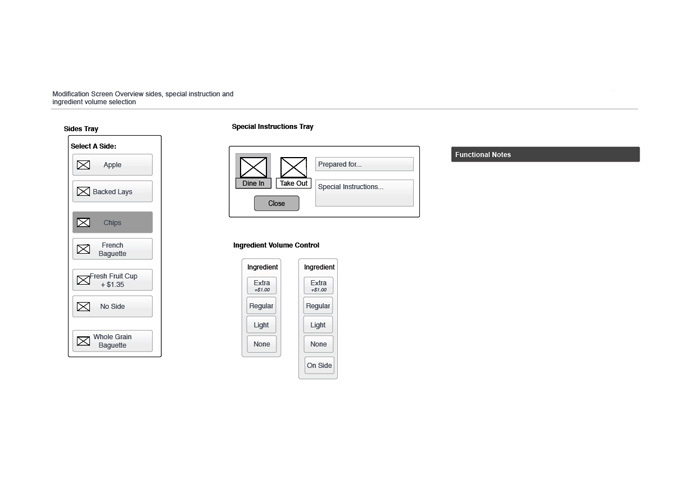 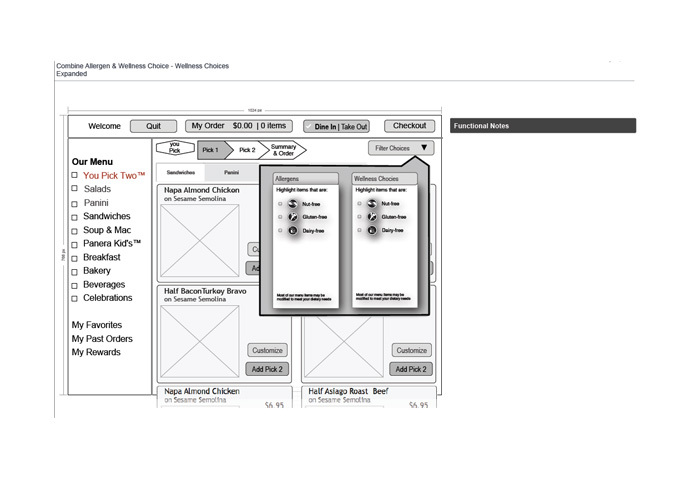 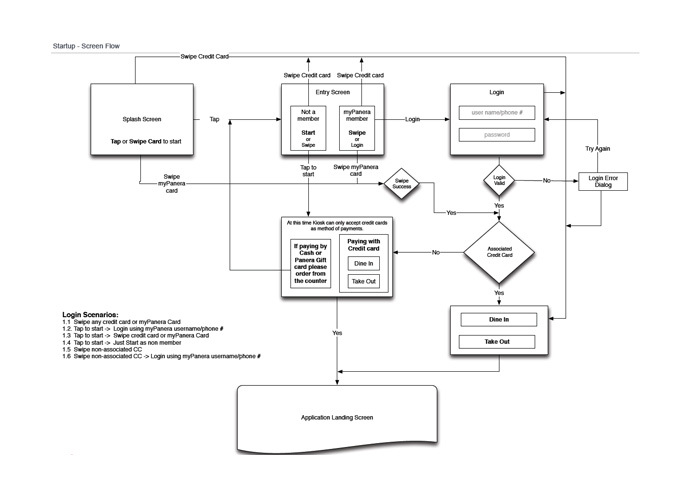 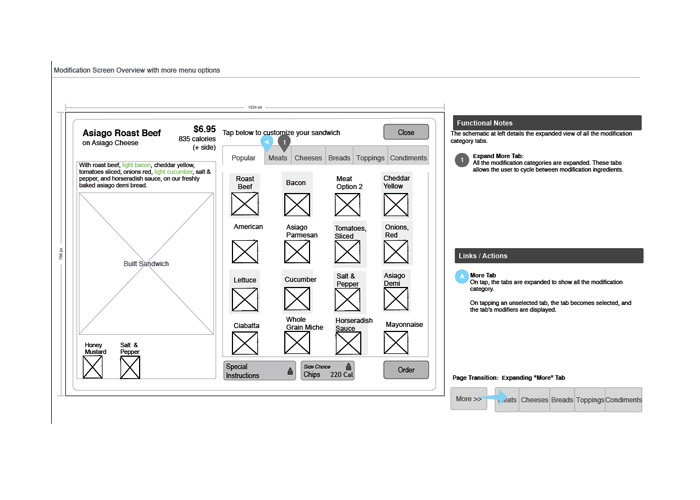 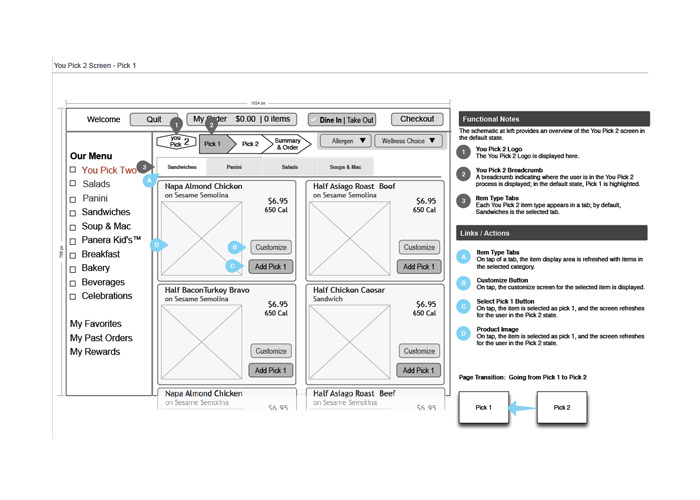 As a senior interaction designer, my responsibilities were designing strategy, concepting, wireframing, prototyping, material and visual design, asset creation, redline files for the development team. 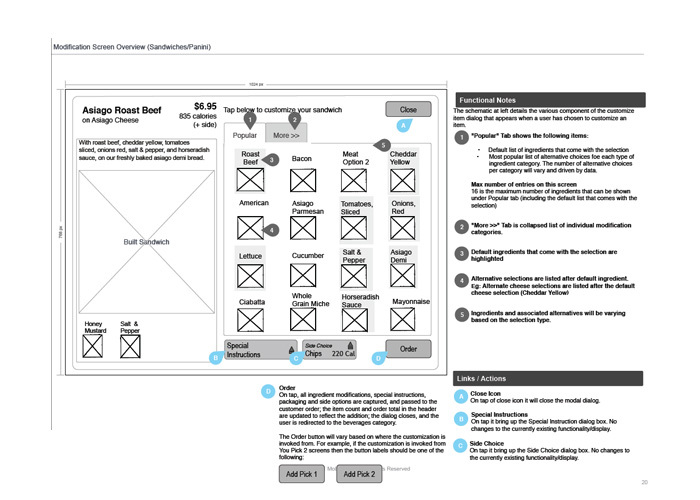 Design review with stakeholders and internal team. 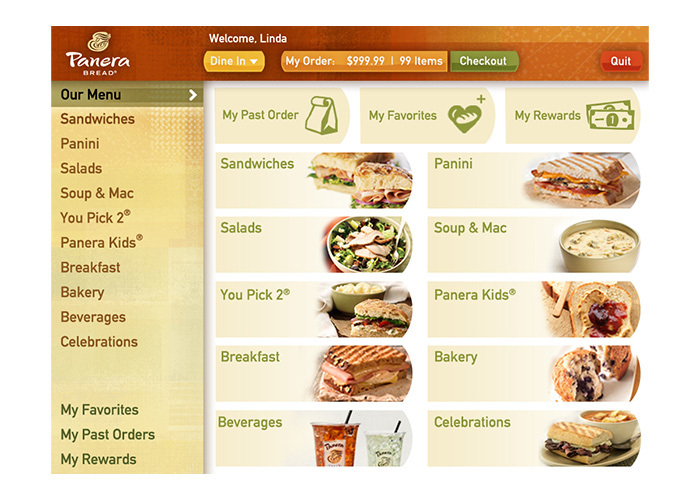 Was responsible for the app and catering website design.